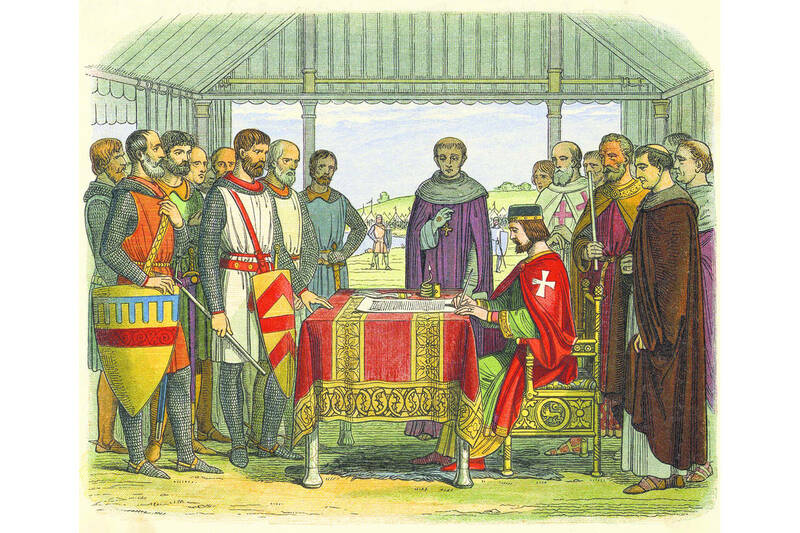 Yes, the 800th anniversary of the first sealing of the Magna Carta (WSJ overview) comes soon. It will be a big deal for a lot of people. For all? As the bifurcations that we see all around show us, many (most) have had minimal (or no) comfort from that long ago bit of activity and angst. After all, a few generations later, we found major conflict between bickering cousins (one example of many). Has that sort of thing become less common (has it been made worse by modernity, through means such as game theory?)? Did we learn from the war to end all wars? 06/06/2015 -- Harvard just got a bunch of money. Perhaps, they can put some of it toward a re-look at their history from a more full view. Which would be? For one thing, try to gain more balanced with some respect for the human condition that has been, mostly, burdened with the shenanigans of the smart, but unwise, ilk. Earlier, we contrasted, as an example, John Gardner with those in Harvard counting angles on their fingers and toes. Later, taking the move toward secularism only exacerbated the problem. 03/14/2019 -- Added image to the index on our portal to truth. 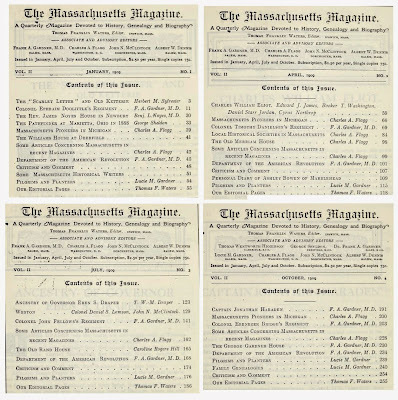 On the Talk Page of the Wikipedia article about The Massachusetts Magazine, we have a link to all of the volumes hosted at archive.org (prefer their reader). We will be reviewing the whole series for several reasons. For starters, this image shows the Contents from 1909, Volume II (start page of first article by Number: #1 - 3, #2 - 59, #3 - 123, #4 - 191). In this Volume, the contributors were Benj. L. Noyes, Herbert M. Sylvester, Charles A. Flagg, George Sheldon, F. A. Gardner, M.D., John N. McClintock, Lucie M. Gardner, Thomas F. Waters, Caroline Rogers Hill, Edward J. James, Booker T. Washington, Daniel S. Jordan, and Cyrus Northrop. In this volume, we have Booker T. Washington, et al, on Charles William Eliot on the occasion of his retirement as head of Harvard. 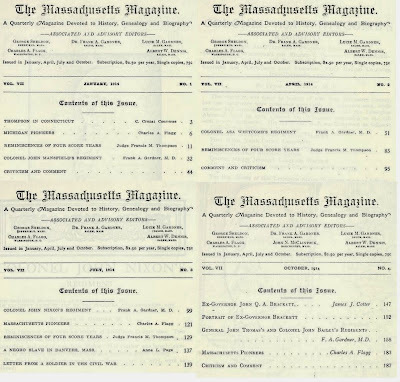 In looking at this periodical, it was 100 years after the first attempt which was rather avant garde, given the timeframe which was still during the American Revolution which carried over until the early 1800s. As well, Sidney Perley's The Essex Antiquarian was winding down. We, of course, can look now to see what is on the landscape. What was there at this time, 1909? Jumping ahead to 1914, the year of the start of WWI (start page of first article by Number: #1 - 3, #2 - 51, #3 - 99, #4 - 147). Contributors were: C. Crozat Converse, Charles A. Flagg, Judge Francis M. Thompson, Frank A. Gardner, M.D., Anne L. Page, and James J. Cotter. 05/25/2015 -- It is interesting that up through 1912, Lucie (Dr. Frank's sister) reported on "Family Genealogies" and meetings. Also, in 1912, Numbers 2, 3, and 4 were printed together. 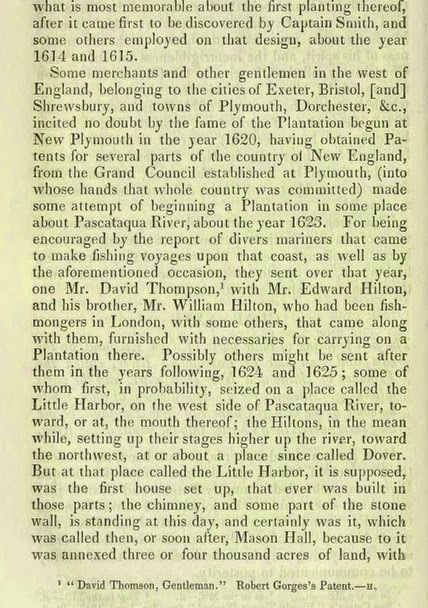 Charles A. Flagg had his 10th in a series dealing with Massachusetts pioneers (as in, those who moved to other states). 05/26/2015 -- I have all of the Contents from the volumes. As well, there has been efforts at documenting early efforts at publication. 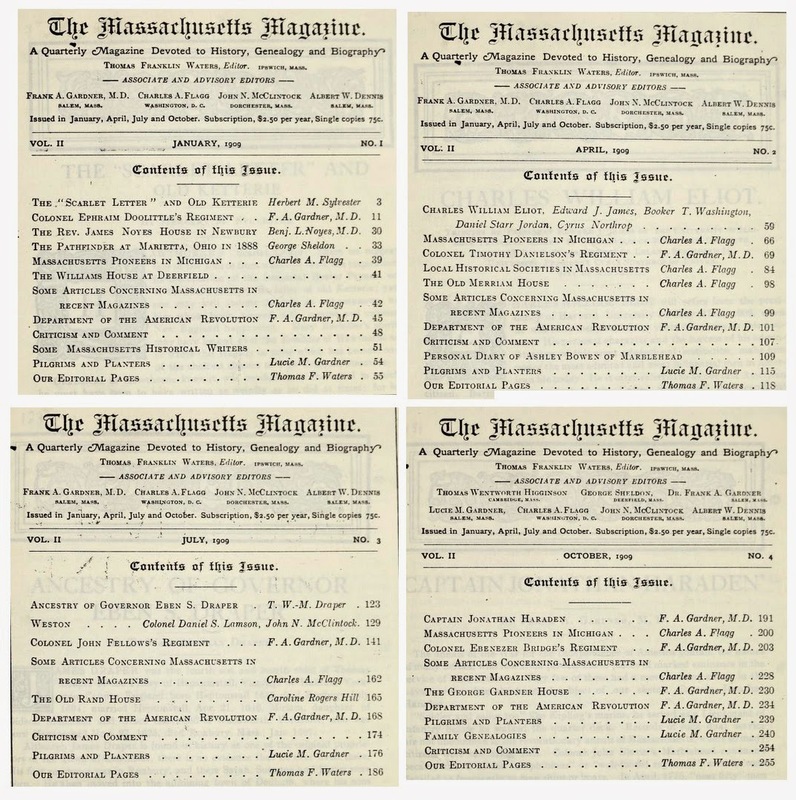 From that, we can see that John N. McClintock and Co. published The Bay State Monthly from Boston, from 1884-1886. John was a contributor and an editor for The Massachusetts Magazine. 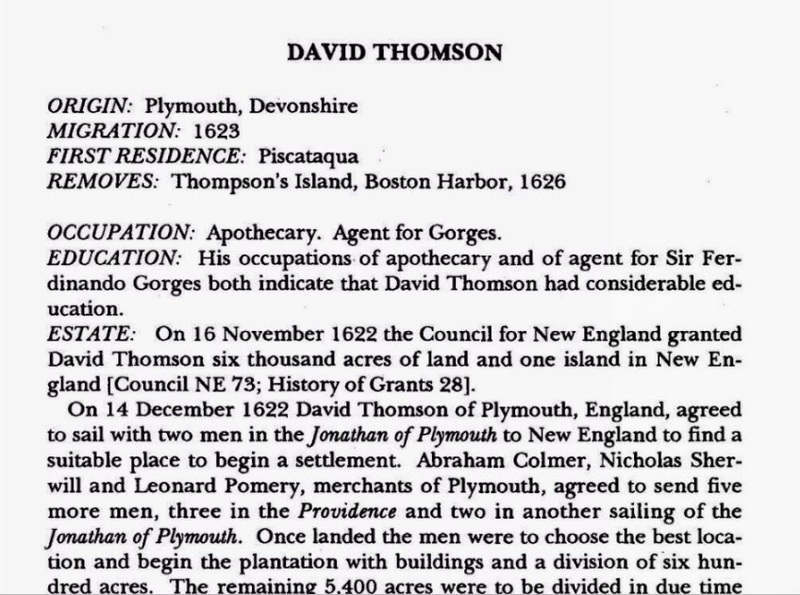 06/07/2015 -- Research examples, such as General Danielson (featured in an article, TMM, Vol. II, No. 2). 07/01/2015 -- TMM, Vols. I and II. TMM, Vols, III and IV. 12/17/2015 -- Frank A. Gardner, Regimental Histories, ..., last issues. 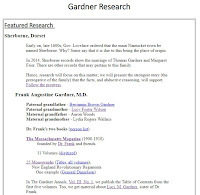 This post introduces the third issue of The Gardner Annals (Volume II, Number 1). This issue provides a further look at the extended family of Dr. Frank A. Gardner through his paternal grandfather, Benjamin Brown Gardner. At the TGS site, there is an ahnentafel chart (fully sourced for births and deaths) for Benjamin. Additionally, there is information about Henry D. Gardiner who owned the barque, Bostonian, that shipwrecked along the Oregon coast in 1850. We'll adopt some type of focus albeit a multi-faceted framework will still be the mode of operation. First up, we'll complete the look at Dr. Frank A. He did the work which has been cited (so far, we have found nothing to quibble about - even if we do find things to correct, he'll get respect -- as should Rev. Hubbard - who will feature, too, at some point) a whole lot over the years. 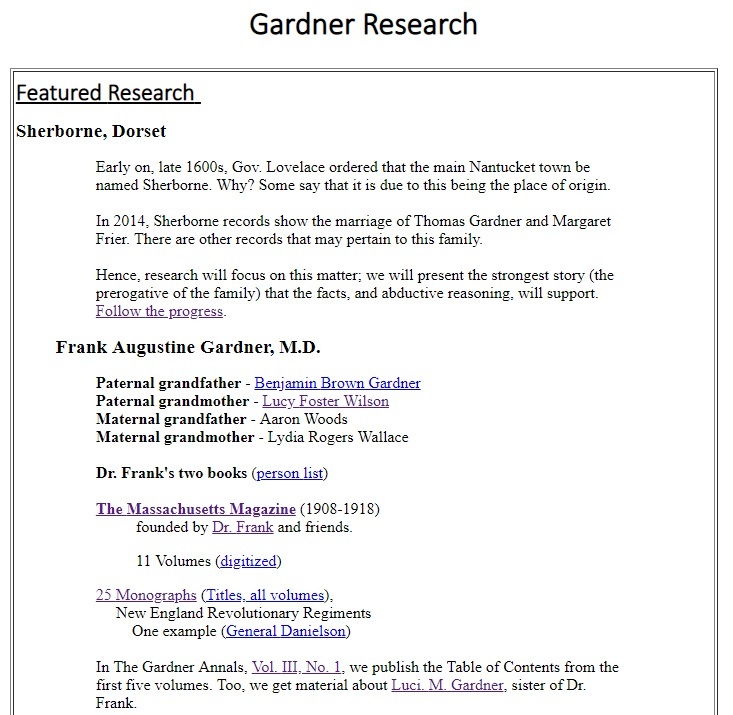 Watch this page: The Gardner Annals. 03/14/2019 -- Added image to index for our portal to truth. 06/18/2018 -- With the publication of The Gardner Annals, Vol. IV, No. 1, we have completed an overview of Dr. Frank's work. TGA, Vols III and IV will print soon. This will include all of the Table of Content for each of the issues. 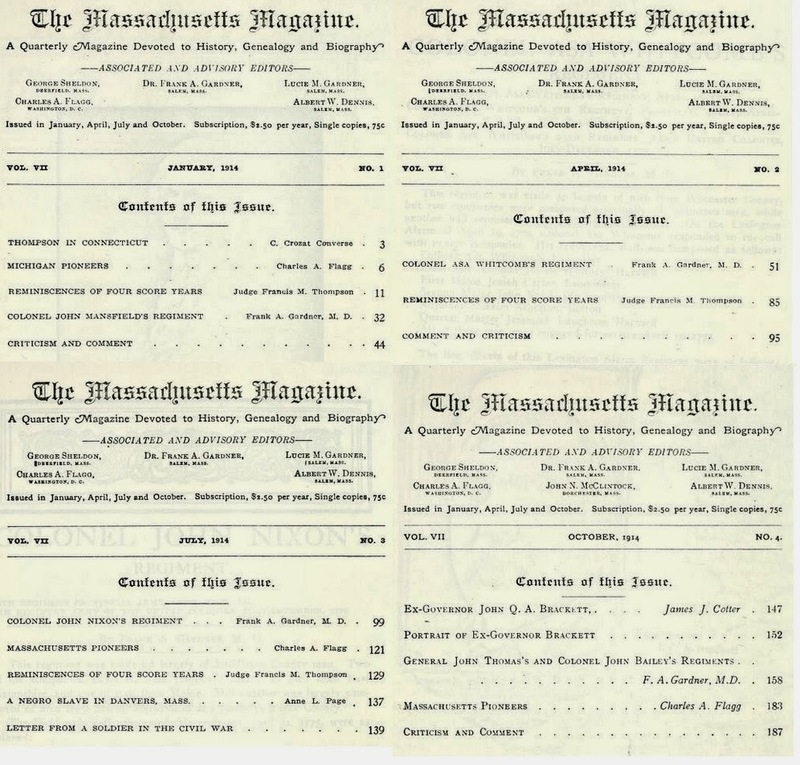 05/22/2015 -- As we look at Dr. Frank, we will pay some attention to his and Lucie's magazine: The Massachusetts Magazine. 05/25/2015 -- We will be pulling out the Contents for all Volumes. Sidney Perley's The Essex Antiquarian had its last year in 1909. Did Dr. Frank think that he might have something to continue Sidney's work? Sidney quit in order to work on his multi-volume History of Salem which included material from Dr. Frank and many others. While preparing for this issue, we did a review of the research and publication events since the start. Too, we published an overview of the Thomas Gardner Society, Inc. that appeared in the November issue, 2014, of the TEG (v34, p210). This write up concentrates on the main focus which is research, part of which will concern descendants and their spread across this continent and the globe since those early times. One major effort involved creating Wikipedia presence with regard to the couple of interest. See Thomas Gardner (planter). Now, with respect to that, one will link items across articles. 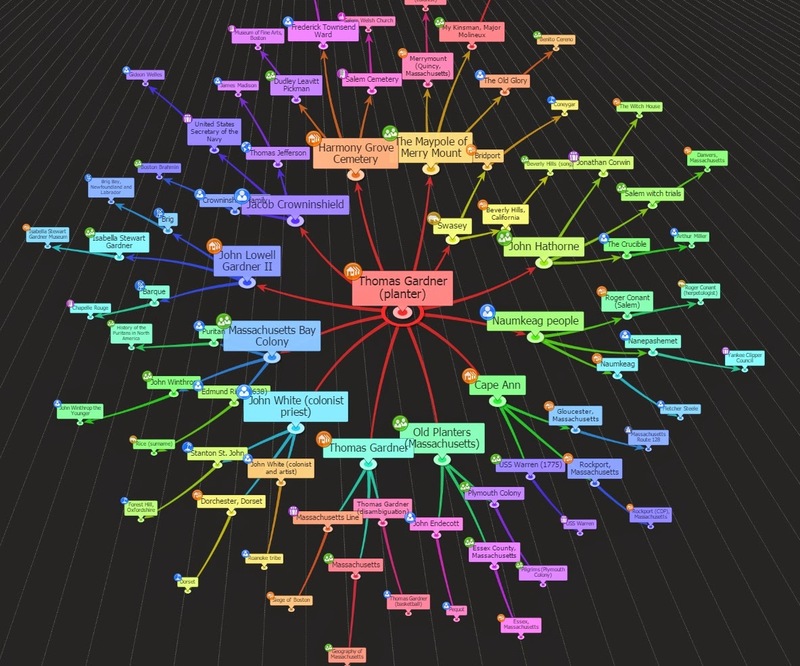 This image depicts a knowledge map that is centered on Thomas. To interact with the map, go to the portal at Inforapid.com (12/15/2015 - link not on-line). There are many uses for this type of graphing. In the case of Wikipedia, upon which this map is made, one can look at the material with a view to consistency, accuracy, etc., In this case, there are eleven different articles. The associations that are mapped were determined by a standard algorithm. There are interactive means to make changes to this type of thing. However, letting the tool work can be instructive, too. Notice the link to Swayze; that came about due to a reference on the Swayze page that some descendants of John married descendants of Thomas. 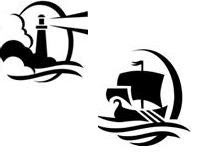 Another association is that some of the Swayzes left the Salem area due to persecution (Quaker) which is a story that is common to Thomas' children (Richard, John, George) and many other families. Other efforts were regular publication of Gardner's Beacon, articles in the TEG, and The Gardner Annals. However, the questions stack up which is what we like to see; that is, our emphasis will continue to be research. Hopefully, we will be able to raise the level to a scholastic level that is required for contributing to the general state of knowledge. See Vol. V, No. 1 of Gardner's Beacon for a review of progress to date. Too, types of contributions are provided. 05/13/2015 -- Started a "Gardner Research and Discussion" group on Facebook. If you are interested, please ask to join. See link on the FB page. 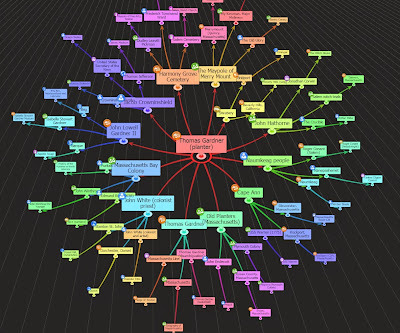 12/15/2015 -- Removed link to the knowledge map; the system is now off-line. We will have more about the guy as we go along. For Gardners and friends? We need to remember, Rev. Hubbard was the first to write about Thomas and John (Tylly) and, thusly, deserves eternal honors. I am putting this post here in that some controversy has raged about the start of New Hampshire (but, some of the posts will be at the technical site and at the Truth Engineering site). As in, what year ought to be placed for the first effort at a settlement (or attempt, thereof)? The two images are from distinct viewpoints: a modern publication and Hubbard's work (pg 214). Why is Hubbard second? Well, we are going backward in time. The first publication quotes another work from the 1900s (Noyes, Libby, Davis) which we will get to. NLD takes Hubbard's book (and viewpoint) to task. Too, NLD may mention other work. We will get to that. This post is just a starter bit; as we collect information, it'll be posted. We intend to be thorough. 05/02/2015 -- So, one controversy (of several): 1623 or 1628. (See Heather Wilkinson Rojo's post)... Mind you, Hubbard was using material available at the time and talking to people of that era. Here is one example. Of course, we see new material coming up via the internet all the time. What did NLD have in their day (well, access to the original documents)? We will see. 05/03/2015 -- Some edit (late night post) on the morning after. It is not all about Rev. Hubbard. Rather, we want to see the total picture; commercialization schemes seem to be making the internet more fragmented than it need be (but, then, that is another topic that is being discussed, sometimes heatedly, in this day and age). ... One would think that New Hampshire would weigh in on this piece of its history. 05/04/2015 -- A collection of sites about the subject follows. The controversy seems to revolve around the Hiltons. Plenty of sites claim 1623 (Thompson's effort to settle, for one). 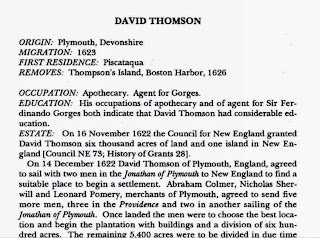 The Great Migration publication (RCA) has David Thomson arriving in 1623. The official NH page has that year, too. Thomson was there even if the Hiltons may not have been. Who was first? Portsmouth or Dover or who? 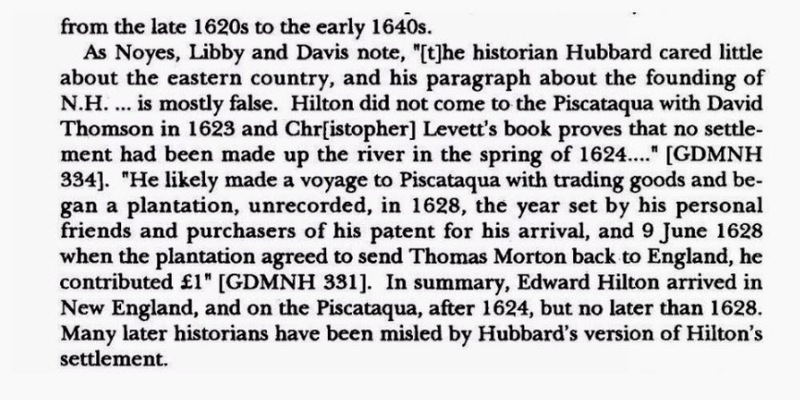 Note, please, that this report says that some controversy about Hilton Head came from Hubbard, published in 1680. Sorry, folks, the poor guy's manuscript was carried/thrown about for 100 years or so (almost lost) before it was finally printed in 1815 and published with annotations in the mid-1800s. 10/11/2018 -- The Rev. on John Tylly. 03/14/2019 -- Added image to our index on the portal to truth.